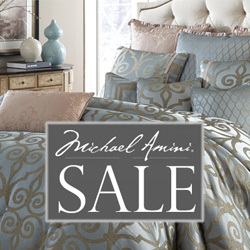 The Michael Amini Elizabeth bedding set is absolutely divine. 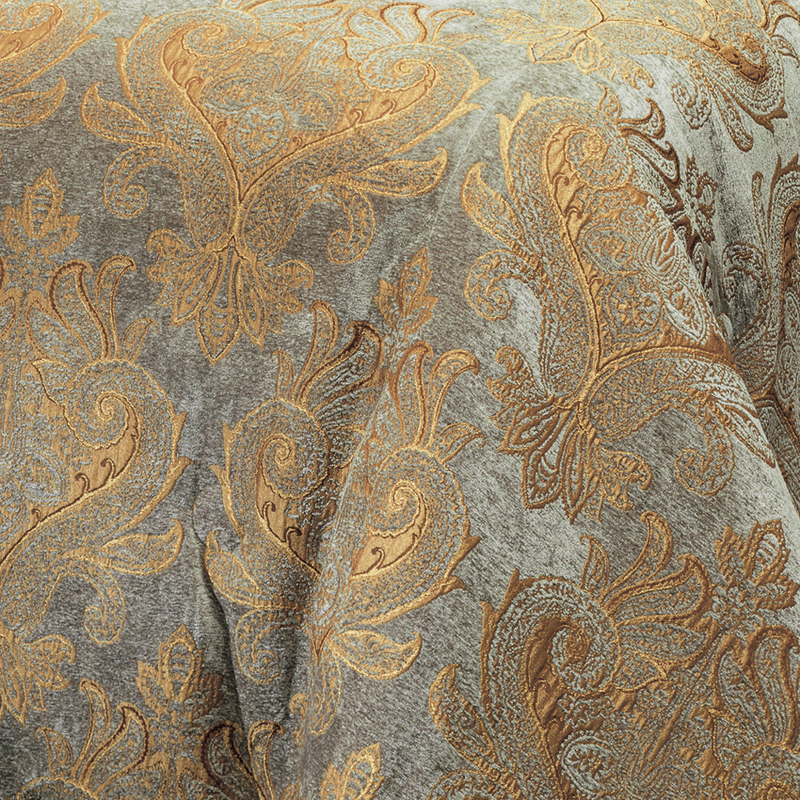 The delicious blend of rich smokey blues, chocolates and golds have allowed the Elizabeth to become a customer favorite. 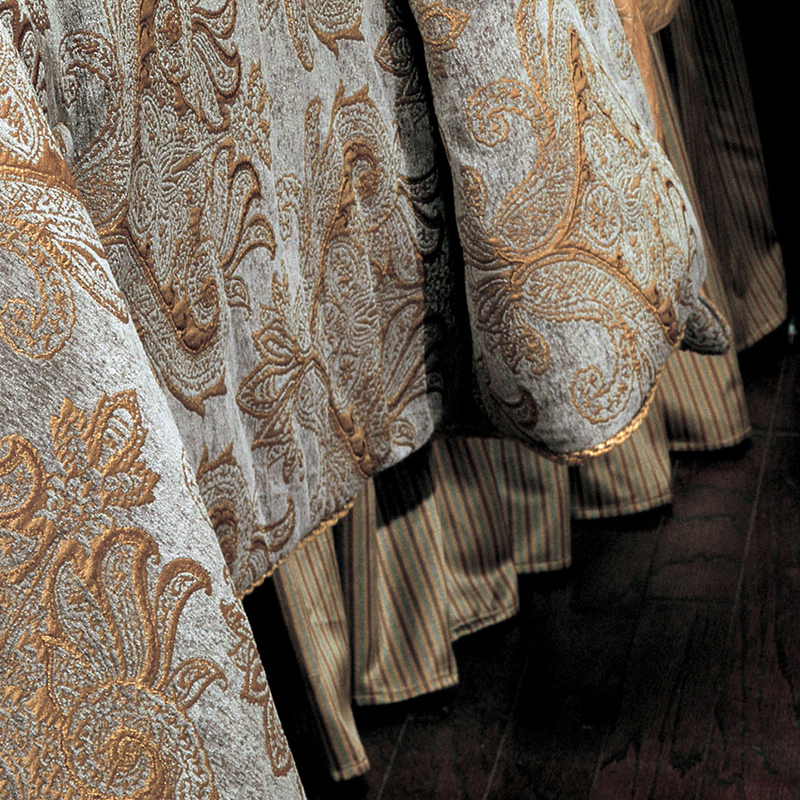 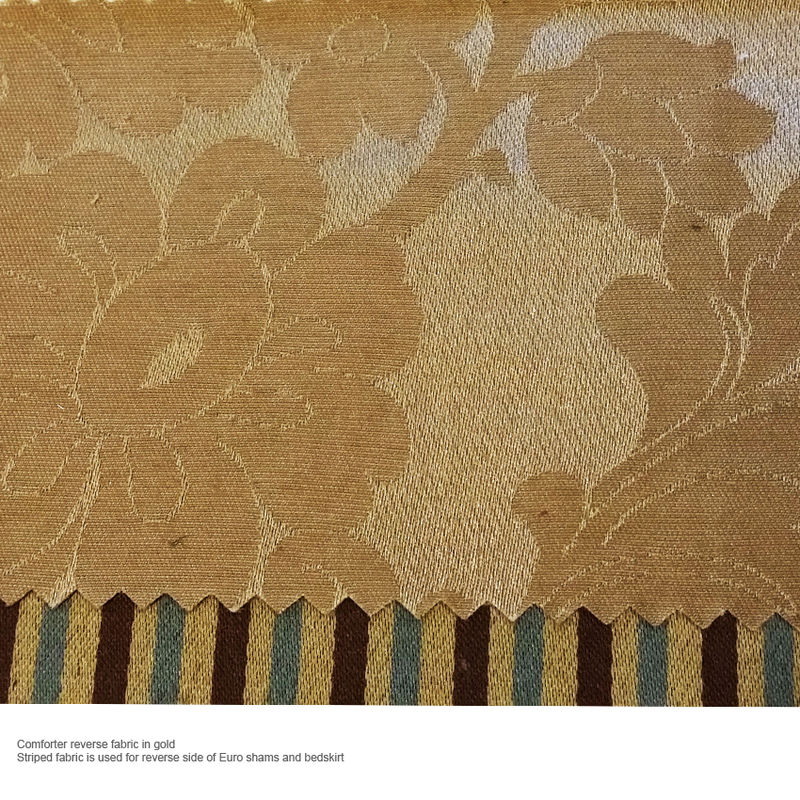 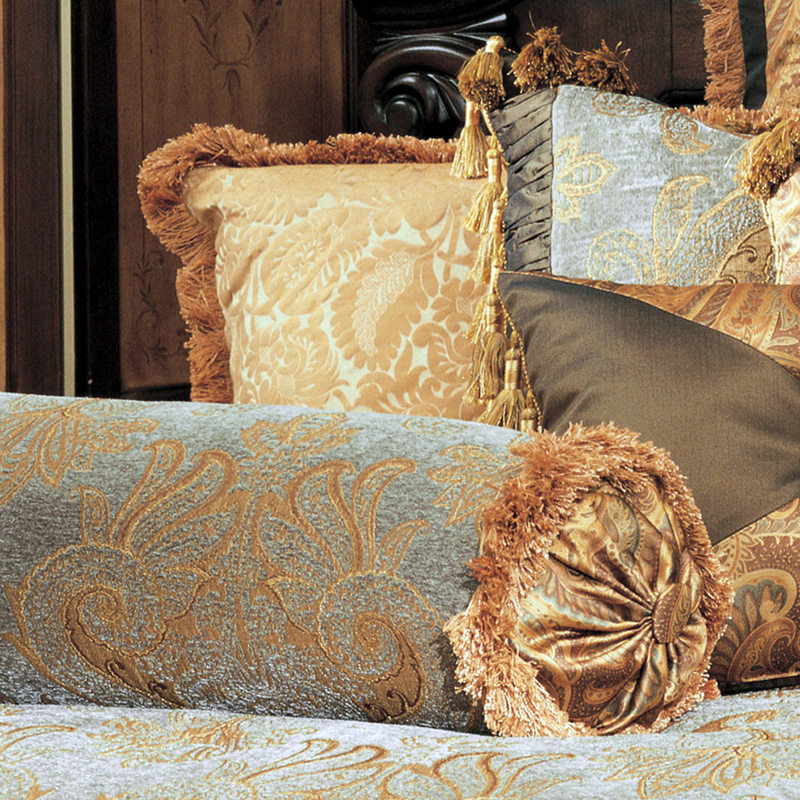 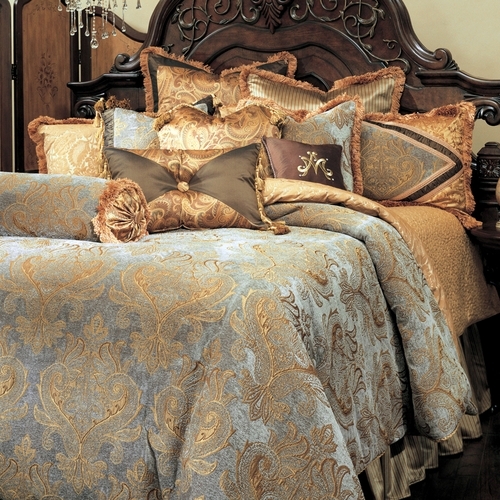 This elegant bedding collection features a chenille damask comforter fabric that reverses to a gold damask frame pattern. 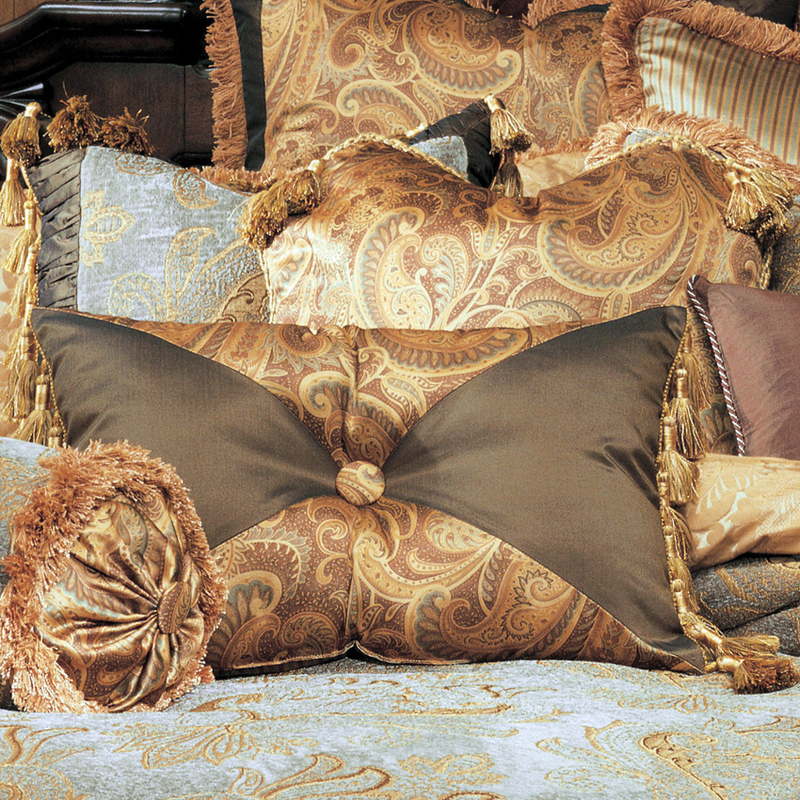 The collection comes complete with shams, 21 inch bedskirt and six accent pillows comprised of top quality fabrics and fine trim details. 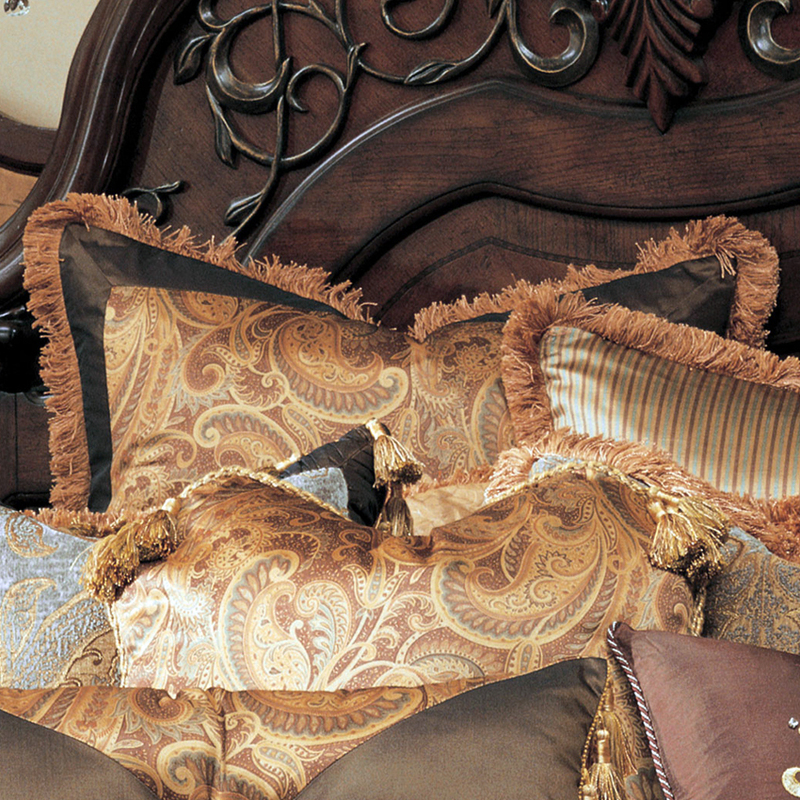 This complete bedding ensemble will transform your bedroom into a luxurious retreat. 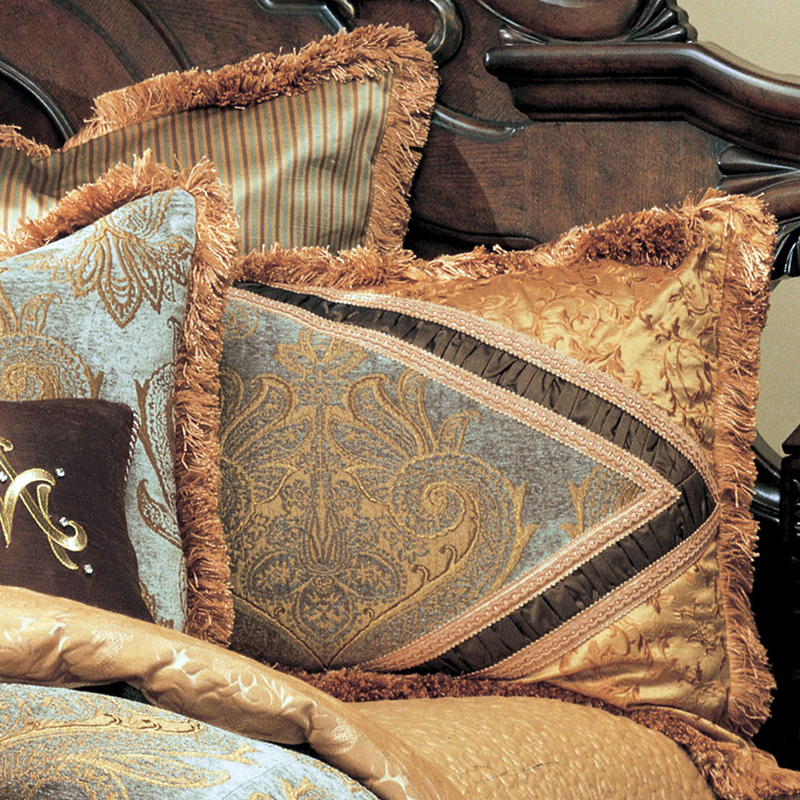 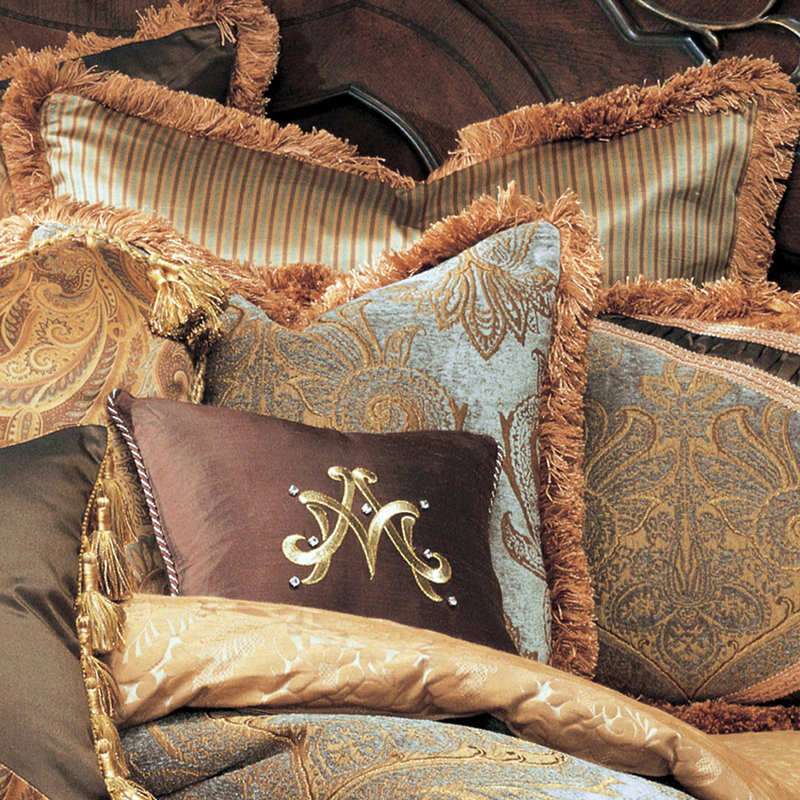 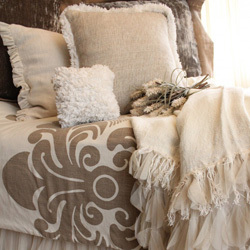 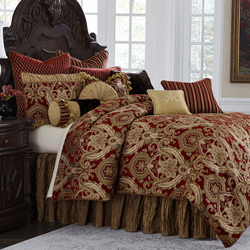 • The Michael Amini Elizabeth Bedding Collection is considered a special order item.